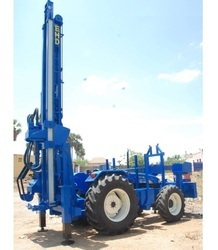 We are glad to introduce ourselves as one of the leading manufacturers & Exporters of Bore Well Drilling Truck Drilling Rigs, Drill Rods, DTH Hammers , Button Bits and Oil Expellers under the brand name of KGR. Infinitely variable hydraulic drill motors available with wide choice of sizes to suit the particular application. Hydraulic drive always provides the best control and results in clean straight core samples. Reena Bore wells is capable of , with their amazing performancel for more than twenty years. Our cost effectie drilling solutionshave proven to be extremely reliable even in the most adverse of terrain with least wear and tear. 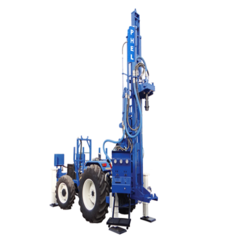 We are dealing in Borewell Drilling Truck.